Identifying historic and cultural resources is the first step toward preservation. MBPN board members work with communities to organize and plan for surveys and help train teams. Please contact us for more information. The MSU Museum hosts the online database of survey results. See michiganbarns.org for access to the database and for training. MBPN is partnering with Barrett Insurance (Jonesville) in a 5-county South Central Michigan survey. Download the flier for information and contacts. Visit the Barrett Insurance website for survey details. 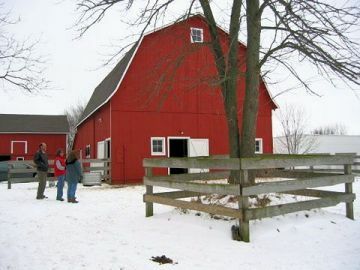 A number of volunteers, primarily from the Oakland Township Historical Society, began their project in 2002 and surveyed over 80 barns. Their results are hosted in the MSU database. will be completed as conditions allow.